I have been reading a lot on the retail industry lately, augmenting my industry experience with broader market knowledge. There is one common theme in most of the articles I have read in the last few weeks; only retailers that focus on improved customer experience and transform their systems and processes will survive. This is apparent when reviewing news articles a few weeks ago that highlight the growth in Cyber Monday sales and a continued shift to online purchases. Also interesting was the number of people that shopped on mobile devices, this number significantly increased as well. I also read a paper that discussed how brick and mortar retailers are rapidly transforming their businesses to brick and click retailers. The same article discussed how many online only retailers are expanding their reach and brand by opening physical sales locations to remain competitive with brick and click retailers. So what does this all mean and how does this relate to building an Omni-Channel retail platform. Well it gives us a baseline for system requirements and sets the stage to think about and discuss some of the challenges of a future proof platform. So at a high-level what is needed? Requirement 1: An integrated business platform. The building blocks for the system are: Supply/Merchandising, Distribution, Sales, Store Operations, Warehousing, Inventory Management, Accounting, and Human Resources. My SAP experience is not limited to just retail. I have worked in A&D, Pharma, Manufacturing, etc. The building blocks are common to just about every business, it isn’t specific to retail and many of the core requirements are the same. This brings me to one of my favorite sayings for clients: “You are all unique, just like everyone else.” The same can be said of retailers, while retail businesses are very different at the opposite ends of the retail spectrum they all need the same core at the foundation. Requirement 2: End to End realtime integration. I would like to highlight my particular perspective here. DataXstream was founded on integrating external systems to SAP. This is not what I am referring to here. I am talking about an end to end process that is integrated and executed in realtime within a single system platform/database. Requirement 3: More options and shorter order cycle times. Customers want the Burger King retail experience. “Have it your way” and “Now”. Unless we are talking about my go to option, the Burger King Veggie Burger in which case you can drop the “Now” and replace it with “Later”. So customers want more options and they don’t want to wait. This is only possible if your system is executing its processes in realtime giving you and your supply chain insight into demand in realtime. Requirement 4: A consistent and capable retail interaction experience. Customers want to shop and review products and services on their smartphone while sitting in a coffee shop up the street, stop by the store and quickly and efficiently pick up their purchase. Then contact your call center from the car on the way home and buy the same thing for their best friend and have it shipped without having to completely redo the entire order process. Requirement 6: System agility the ability to change processes and business direction quickly. There are plenty of disrupters in the current retail environment. Think about how much you have changed how you shop over the last 5 years. Retailers need a platform that will allow them to quickly adapt to market. In my experience building systems over the past 20 years the biggest limiter to system agility is the need to external systems. As soon as you integrate systems your ability to make changes to that system become exponentially more complicated by its integration with other systems. So at a high level we have six requirements outlined that I believe are at the core of a truly future proof Omni-Channel retail platform. SAP Business Suite for Retail on HANA meets several of these requirements out of the box; Integrated Business Platform, Shorter End to End Business Process Cycle Times, and Highly Capable Analytics. SAP does these things better than any other product on the market. SAP on HANA gives you the power to manage real-time transaction processing and analytics at scale. When coupled with DataXstream OMS+ solution and DataXstream’s overall retail Omni-Channel approach leveraging SAP, you can achieve all of these requirements. DataXstream OMS+ Solution eliminates the requirement to integrate your OMS (Order Management System) or POS (Point of Sale solution) with SAP because it is deployed directly into SAP and runs inside SAP. Our solution for order processing means that all channels are interacting with the same backend data in realtime. Finally when it comes to changing processes or adding functionality the simplicity of our approach and the fact that all channels leverage the same data means changes can be implemented quickly and consistently in all sales channels. 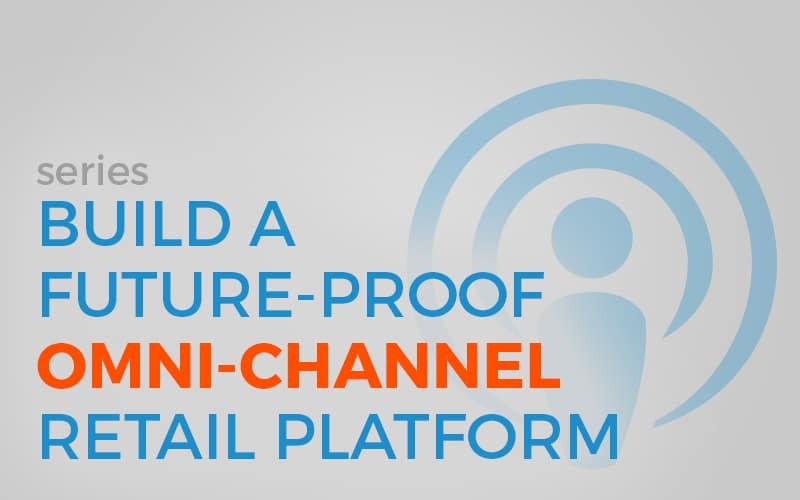 When combined together we truly offer a future proof Omni-Channel retail platform. The beauty of building OMS+ on top of SAP Business Suite is SAP has already done all of the heavy lifting for us. The SAP platform out of the box can meet just about any business requirement. The challenge is with this flexibility comes complexity for the user. That is where OMS+ comes in it takes the complexity out of order processing in SAP, giving you a simplified user interface and backend controls to streamline order processing and eliminate mistakes. Simple order management for SAP OMS+. In my next post I am going to dive into the weeds a bit and look at order processing. This topic will allow me to put together a few more important pieces in the Omni-Channel puzzle and give you more context of where I am coming from and provide additional foundation for this topic.